All Disk and Tape Storage are initialized, cleared and formatted ensuring quick and easy installation in your data center. ISM’sIndustry Leading Warranty Program andTotal Quality Process are part of the ISM Difference. SUN MICROSYSTEMS 2.6GHZ DUAL-CORE CPU AMD OPTERON 885 (E6 STEPPING) PROCESSOR P/N: 371-1760. 3- Wire Transfer. Signature is required on card authorization. This is a used Sun Microsystems CPU Assembly. We are located in Belgium, WI. NO EXCEPTIONS. Item No. : B00660. SERVER SYSTEM. MICROSYSTEMS PLUG IN INTERNAL CPU 5539-04 REV 54. MPN: SELX1D1Z. 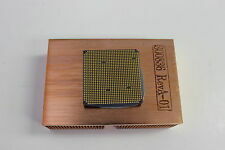 SUN Sparc6 VII 2.66GHz CPU Module. Processor Type: SPARC64 VII. Processor Speed: 2.66GHz. Building Block Computers has been remarketing IT gear since 1990. If we don't have it, our expert staff can find it quickly and competitively priced. ISM’sIndustry Leading Warranty Program andTotal Quality Process are part of the ISM Difference. Sun 1.4GHz 8-Core System Board Assembly for T5120 / T5220 Servers, RoHS:Y p/n 541-2155. Our highly skilled technicians and knowledgeable sales team are here to support you before, during, and after the sale. Sun Fire X4600 M2. MB Assy/FRU Opteron 8220 F3 Stepping 8000 Series Socket F Option 8110A-Z. ThisCPU is a refurbished Sun / Oracle Original part pulled from a working system. Refurbished, Sun / Oracle original part. Sun 541-2155 8-Core System Board Assembly 1.4 GHz. FOR SALE IS A NEXTRA X1 CPU SERVER COMPUTER MODULE! MANUFACTURER:SUN MICROSYSTEMS. NO ADAPTER. 3- Wire Transfer. Signature is required on card authorization. Sun UltraSPARC 5 Work Station (p/n A21UGE1A9P-C128CR). Standard Interfaces: Four audio ports, One ethernet/fast ethernet (10BASE-T/100BASE-T)twisted-pair standard connector (RJ-45), self-sensing port. SUN MICROSYSTEMS 2.2GHZ DUAL-CORE CPU AMD OPTERON 875 (E1 STEPPING) PROCESSOR P/N: 370-7797. 3- Wire Transfer. Signature is required on card authorization. Sun 501-5682 UltraSparc II 440MHz/4MB CPU X1197A Netra Stored in warehouse, never put into service. Determining compatibility with your existing parts, hardware, and/or software is the sole responsibility of the buyer. Technical help is not available to determine compatibility. Sun Microsystems AMD Opteron 285 2.6GHz Dual Core Processor OSA285FAA6CB w/Heatsink Assembly 310-0014 (mounting screws included) for Sun Fire X4100, X4200. Part number X8046A-Z. North Carolina 7.25%. Socket : LGA1368. Socket LGA1368. This is a tested working, used, clean, Sun UltraSparc III CPU Processor. Model : UltraSparc III. Family Sun Microsystems UltraSparc III. Bus Speed: 150Mhz. Notes on Sun Microsystems UltraSparc III 1.2 GHz. Sun 370-6786 2.4Ghz CPU with Heatsink. AMD Opteron OSA250CEP5AU. Requires a torque tool 340-6091 or 340-6395 to install this module. These tools are supplied with the system. 501-6395, X7064A. This CPU Module has been pulled in a working Sun System and is fully tested. STORAGE: RM-201A. MODEL: 501-7691. Accessories, remotes, software, power cords, cables, etc. are not included unless pictured. As such, once an order has been placed, we are generally unable to cancel the order. Socket : LGA1368. Socket LGA1368. This is a tested working, clean, Sun Microsystems UltraSparc IV Dual-Core CPU Processor. Model : UltraSparc IV. Sun Microsystems UltraSparc IV. Notes on Sun Microsystems UltraSparc IV 1.35 GHz. 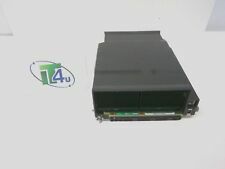 SUN 501-4363 / X2560A 336MHZ ULTRA SPARC II CPU MODULE x SUN E4500. Sun 2.8GHz 1000MHz FSB 1MB L2 Cache Socket 940 AMD Opteron 854 Processor Upgrade for Sun Fire V40z Mfr P/N X7244A-Z. NEW factory box. Signature is required on card authorization. Only one CPU included. This 501-2757 has been pulled in a working Sun System and is fully tested. Refurbished Sun / Oracle original part. Product Weight: 1lb. Socket : LGA1368. Socket LGA1368. This is a tested working, clean, Sun UltraSparc III Single-Core CPU Processor. Model : UltraSparc III. Sun Microsystems UltraSparc III. Bus Speed: 150Mhz. Notes on Sun Microsystems UltraSparc III 1.05 GHz. This is a 375-3477: Sun SELX1A1Z 2-way SPARC64 VI 2.1GHz CPU module. Sun 501-6058 X1195A 450Mhz CPU Module 4Mb Cache. We will issue you an RMA, upon receiving the product back it will go through inspection against prior out going photos, etc. Freight Quotes. am and 4:00. Local Pickup. 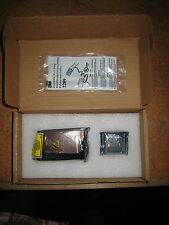 Sun CPU Upgrade Kit for X6270 Blades X6270-X-14M2260 Includes E5520 CPU and 541-2545 Heatsink Brand New Sealed!. Sun 501-5838 X2580A 400Mhz CPU Module. Model: 5039-03 CPU Module. Included: CPU Module Only (as pictured). We have since grown to be a large scale electronics recycling, asset recovery center. Product Specs: 360MHz UltraSPARC IIi 256KB Cache Sapphire-Red CPU Module. The minimum OS is Solaris 2.5.1 HW: 11/97 or 2.6 HW: 3/98. This module requires Ultra 5/10 OBP >=3.19v4. 501-5148 This CPU is a Refurbished (Used) Sun Original Part. Sun 501-5129 X1192A Ultra 60 360Mhz Processor Board. Socket : LGA787. sSpec: STP 1032A LGA. This is a tested working, used, clean, Sun UltraSparc II CPU Processor. Model : UltraSparc II. Clock Speed : 450MHz. Bus Speed: 100Mhz. Serial numbers and revisions may vary. Socket : LGA1368. Socket LGA1368. This is a tested working, clean, Sun Microsystems UltraSparc IV Dual-Core CPU Processor. Model : UltraSparc IV. Notes on Sun Microsystems UltraSparc IV 1.8 GHz. Binary compatible with other Sparc processors. Ultra(TM) Enterprise(TM) Flashprom Update 3.2.12 is required. Solaris(TM) 2.5.1 or later. Enterprise 3000, 3500, 4000, 4500, 5000, 6000, 10000. Only one CPU included. Product Weight: 1lb. TheSun 501-3041 CPU Module is essential for the performance of your system, as it handles all instructions it receives from the hardware and software running on your system. ConditionLike New. Bus Speed200MHz.